Kibble or Canned Dog Food: Almost As Good As Homemade? Which dog food brand is best? Read on. You'll be surprised! If you're interested in my advice on homemade dog food or homemade dog food delivered to your house, check out those articles. It would be so great, so convenient, if there was a perfect brand of kibble or canned food that was as good as or almost as good as homemade food. Alas, there isn't. There are no brands of bagged or canned dog foods that I would feel comfortable feeding my dogs every day. There ARE a few brands that make an acceptable meal now and then, and in a moment, we'll talk about what makes those brands stand out from the crowd. But first I want to tell you WHY you shouldn't feed kibble or canned dog food every day. Safety. You simply don't know what else might be in that bag or can. Ingredients. No matter which kibble or canned food he's eating, your dog isn't getting exactly what he should be getting.... and he's getting too much of what he shouldn't be getting. And that affects his health. An ongoing series of pet food recalls has shocked owners into taking a second look at their pet's food. You've probably heard about all the pet food recalls, where one manufacturer after another is forced to recall their kibble or canned food because it's contaminated with something dangerous. 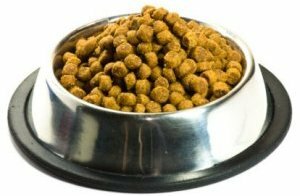 Over 60 million pet food products have been recalled, including Hill's Science Diet, Iams, Eukanuba, Nutro, Purina, Alpo, Mighty Dog, Diamond, Triumph, Authority, Award, Best Choice, Natural Balance, Natural Life, Big Red, Blue Buffalo, Grreat Choice, Food Lion, Laura Lynn, Hill Country Fare, Cadillac, Ol' Roy, Royal Canin, and many more. Dog foods have been contaminated with (among other things) an industrial chemical called melamine, from China. In one major recall, over 3000 dogs and cats died, and over 14,000 were sickened with life-threatening kidney disease. Grieving owners demanded answers. How could so many different brands get contaminated with the same thing? The answer turned out to be that those "different" dog food brands were not so different. Many pet foods, it turns out, are assembled on the same central assembly lines – using the same ingredients from the same sources. And things do go wrong. Most dog food brands, you see, are owned by mega-corporations such as Proctor & Gamble and Colgate-Palmolive. Giant corporations have the reputation of focusing relentlessly on their bottom line – squeezing every last cent of profit from every bag and can. So they need cheap ingredients. And the cheapest ingredients come from foreign countries whose food safety practices are (at best) suspect and (at worst) nil. The ingredients that make up commercial pet food are trucked into gigantic food processing warehouses and shoveled together. Let me tell you, it's gross. So if you feed your dog any brand that comes off these assembly lines, there's no way you can know if it's safe. And most brands come off those lines. Of course, the argument can be made that meat and veggies from the supermarket can also be contaminated. While that's true, there are far more inspections and regulations protecting human-grade food. You can improve the safety of your dog's meals if you buy the ingredients from local sources who are farming organically and raising grass-fed livestock and free-range poultry. Using local sources means fewer chances for things to go wrong. And if something does, it's not going to be a deadly industrial chemical from China that's supposed to be in plastics and countertops, not in millions of cans of dog food. Good dog food must have meat as the main ingredient. 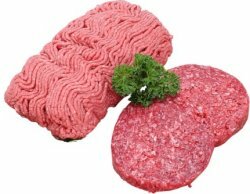 Not only muscle meat (such as ground beef or chicken breast), but also organ meat (heart, liver, kidney) and bone (or bone meal). Now let's talk about the actual ingredients that make up dry kibble and canned dog foods, and why you must look closely to find a healthy one. To keep your dog healthy, you should be feeding him meat. Your dog's digestive tract is designed for eating meat. Grains and cereals. Many dogs have difficulty digesting corn, soy, wheat, and other grains and cereals. Many dogs are allergic to grains and cereals. Feeding grains and cereals can lead to health problems. Junk fillers and unrecognizable food substitutes such as beet pulp, rice flour, brewer's rice, wheat middlings, gluten meal....honestly, raise your hand if you've ever thought of feeding your dog wheat middlings. By-products or digest. "By-products" is a catch-all term that can include the feet and head of the dead animal. "Digest" is a by-product treated with heat and water to form a slurry. Sounds tasty, yes? Read more about the ingredients in dry and canned dog food. The ingredients on the list above don't belong in your dog's food. They are there because they're cheap. Cheap is good for the pet food company's bottom line. Cheap is good for your budget, too. But cheap is not good for your dog's health. He will not be getting the nutrients he needs to stay healthy for a lifetime. In fact, these cheap ingredients can result in chronic health problems and a shortened lifespan. Are there any dry or canned dog foods that provide lots of meat, no grains or junk fillers, and not manufactured on the risky mass assembly lines? There are a few, yes. But there is one final test for a proper doggy diet. And that is to check how the meat was prepared. ALL kibble and canned diets are #3: cooked at very high heat. 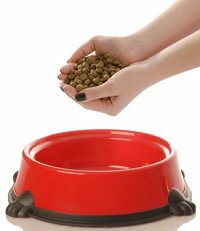 Which means there is no kibble or canned dog food that you should use as your dog's daily diet. For his daily diet, you should feed homemade. You can make it yourself, or you can have someone else make it for your dog. You might also opt for a frozen or freeze-dried raw diet. You can feed it raw or cook it lightly. There is one brand of frozen diet I like best, and a couple of others that are good, too. Choose the best dry dog food for an occasional meal. You can certainly feed a kibble or canned meal now and then! The convenience is great on a day when your schedule is tight, or when you don't feel well, or when you're traveling with your dog. But it should be a brand that is heavily meat-based, with a small amount of vegetables and other real foods.... and NO grains or junk fillers whatsoever. 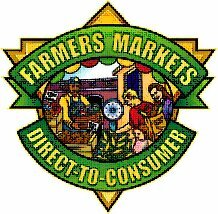 It should be made by a smaller company that buys their ingredients from local farmers and ranchers. I no longer trust the quality of brands owned by corporate giants. There are only a handful of such dog food brands. For years I recommended a brand called Innova. But sadly, Innova was acquired by Proctor & Gamble. Now Innova is out, as far as I'm concerned. It took me quite awhile to find a replacement. On the plus side, I'm actually happier with the replacement.... so maybe all things do happen for a reason. Variety. I feed homemade meals, frozen meals, and occasionally a kibble meal with an essential added supplement. In the feeding chapter of my book, 11 Things You Must Do Right To Keep Your Dog Healthy and Happy, you'll find step-by-step details for feeding your dog healthy meals. You'll find ingredients, supplements, and directions for preparing homemade meals. You'll find brand names for prepackaged frozen meals, and the occasional kibble meal (plus the essential supplements you must add to kibble). You'll find out what to do if your dog only wants to eat "junk" food that isn't good for him, and more.... everything you need to know to change your dog over to a healthy diet. I hope you'll read this book and get some healthy dog food into your dog, too! Or click here to find out how you can have someone else make your dog's homemade meals.